A rebellious bride is a dreamer, someone who knows what she wants, someone who is different from everyone else and someone who is not afraid to be criticized. A bride that opens her mind to endless possibilities and embraces that the extraordinary ideas will make it all worth it. You know that a wedding is really something when everyone on the wedding team is rooting for you and your extraordinary theme. 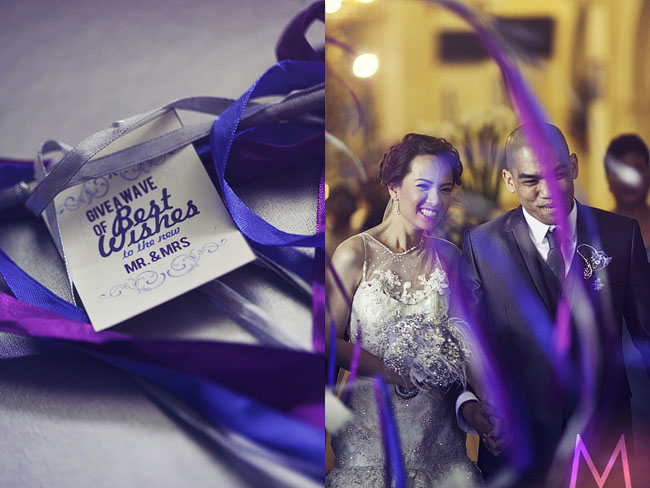 This was the case for Anne & Mike's wedding wherein from the coordinator, to the stylist, to the cake, to the photographer, everything was just so in sync! You could tell that they were all excited to bring the ideas out to the world. You could tell from Teddy Manuel's spectacular works of art, from Teena's passion for the couple and the wedding...everything just absolutely worked so well and the result? A rebellious labor of love in every sense of the word. 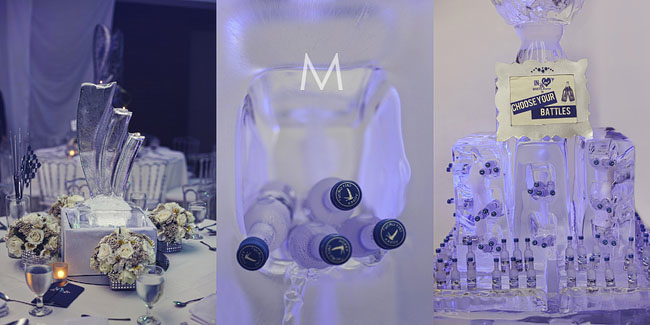 Here's what Anne had to say about their Steel & Ice wedding. And what I loved about her stories the most was her relationship with Teena Barretto. Enjoy! Rebellious Brides: What was the theme/concept of your wedding and what was your inspiration behind it? 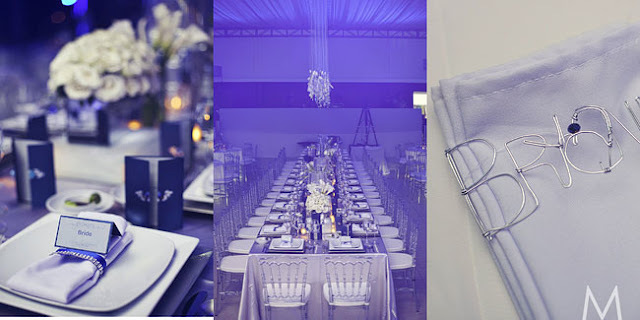 Anne: Our concept/theme is Steel and Ice--and it’s a crazy idea by Teena Barretto. Just a short story how we got to know each other. She was on vacation here in LA when we were actually looking for a wedding planner in Manila. We drove 4 hours just to meet with her...that’s how we started our relationship with Teena. She was doing her conceptualization and then she said, "You’re so opposites! And with your personalities, I don’t know how you guys get along so well. And to think that you guys are together na for 5 years ha! 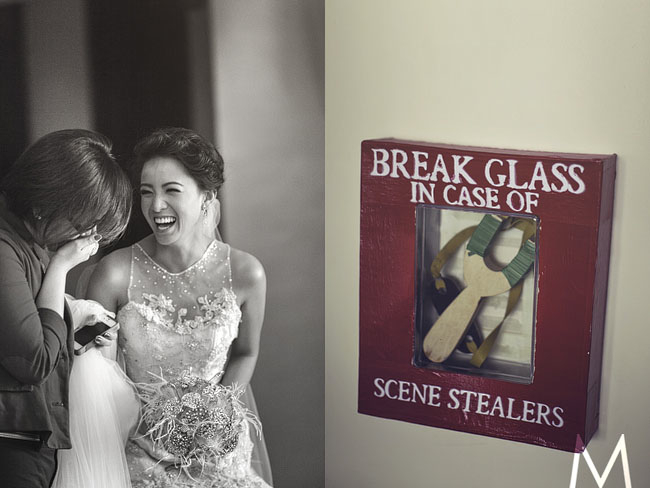 Lol"….then we decided that our wedding theme should symbolize us. How different we are but how perfectly we are able to come together. Teena said, "I visualize your wedding as Steel and Ice". Then everything was left to Teena’s hands. Our angel! Our cake doesn’t look like a wedding cake. It’s a stunning chandelier cake that dramatically descended from the ceiling! When I was a little girl, I dreamed of having a gigantic wedding cake. Then Teena thought of the idea of this chandelier cake… who would think of that craziness? Siya lang! Pabababain niya yung wedding cake ko from the ceiling? OMG! She said, “You want a gigantic cake, then you got it, and you have a chandelier cake pa!" 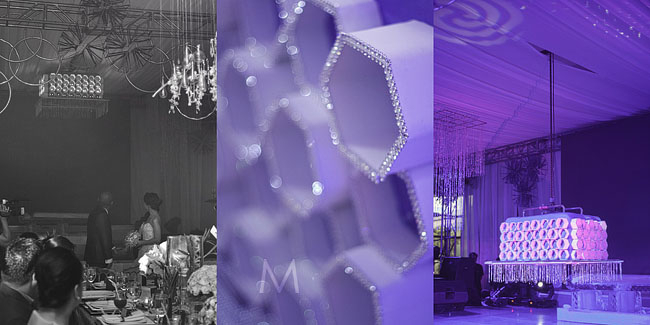 I remember when we had the supplier meeting with Miss Joy and Juancho, they said, “A chandelier cake?????". 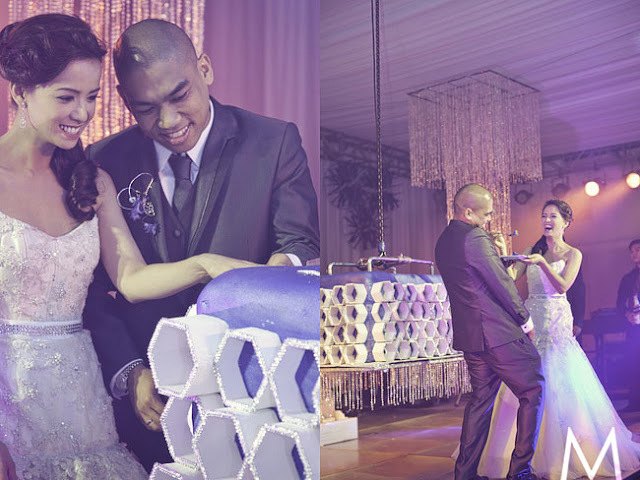 Then of course, what Teena wants Teena gets… and of course with all the support of Miss Joy San Gabriel and Juancho from Sensitivity, our chandelier cake became the highlight of our wedding. 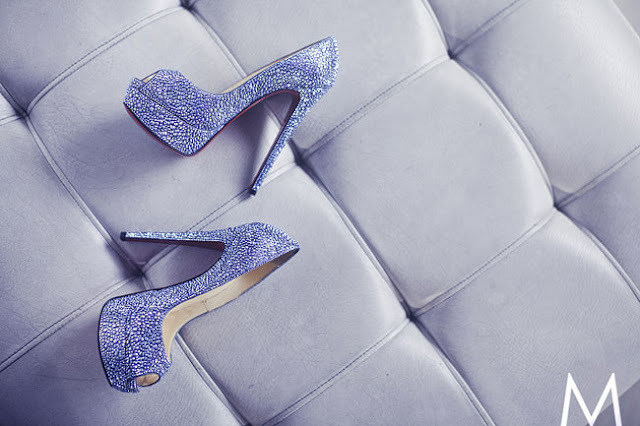 My “160 mm Lady Peep” Strass from Christian Louboutin - Who wouldn’t fall in love with this? My Louboutins were covered in hand-placed crystals that would certainly take your breath away! 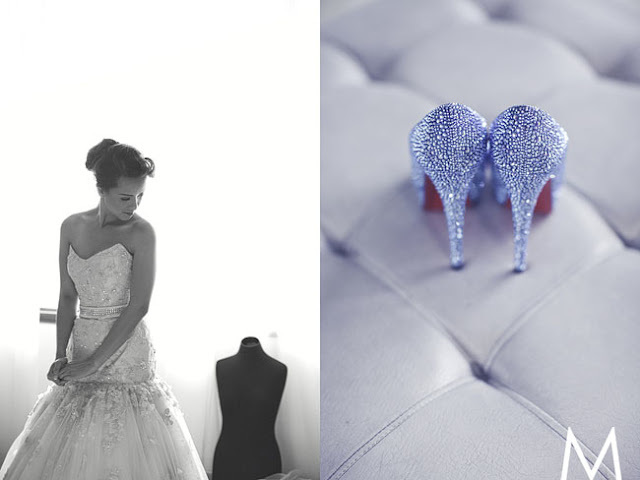 I’m a shoe lover, so it was really hard for me to pick my wedding shoes especially for the very special day of my life. 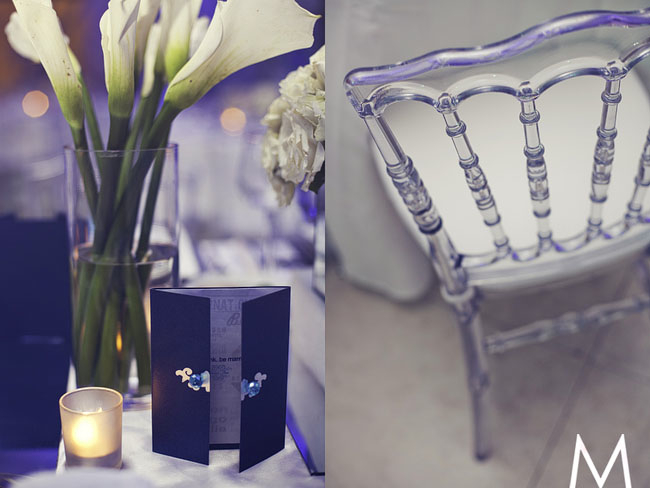 Last, our Steel and Ice details during our reception :) Our chairs were made of ice! Yikes! I was scared to get wet.. Lol.. True enough, Teena's idea saved me and made it possible! Our centerpieces are made of carved ice, steel sculptures, hanging flowers from the ceiling, made by Teddy Manuel.... Super galing! Kudos to Teddy and to Teena Barretto's team! RB: What can you advice to brides who may be thinking of having a creative wedding but are afraid to pursue it? Anne: Your wedding is a once in a lifetime event. Everything should be for you and for your husband-to-be. Do not hesitate and don't be afraid. Just stick to what you want and you will never regret it. Teena Barreto Events – Wedding Coordinator: Everything will not be possible without Teena Barretto… she took care of everything for us…when I say everything, as in from beginning to the end. Like her team would always say, “Super spoiled kayo kay Mam Teena ha, pati legal documents nyo, kami nag aasiskaso" Lol.. We will always be thankful to Teena for making our dream wedding come true and for taking care of us…. We love you! >> >> Teena Barretto’s Team - Diana Lynn, Nissa, Tuschia and AV… thank you! 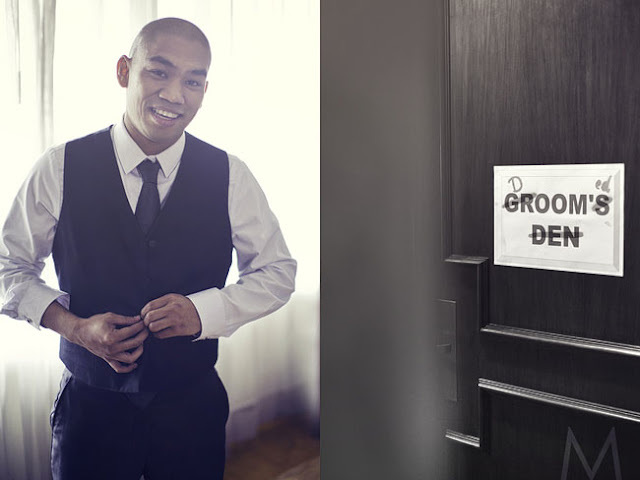 Edwin Tan – Bridal Gown, Groom's Suit, Entourage Gowns: thank you so much for creating the perfect wedding gown for me, for the Groom and down to the dresses of my entourage. My gown looks so fabulous! And I can’t thank you enough for your patience. Oly Ruiz from Metrophoto – Our photographer: thanks for all the great photos and crazy shots! I'm so overwhelmed seeing all the photos. Thank you for capturing all the priceless moments during our big day. 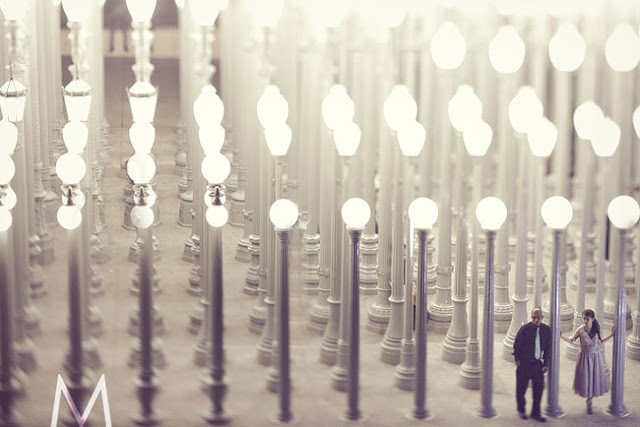 From our engagement session in Los Angeles, then to our Wedding Day in Manila, and next will be our trash the Dress! Jason Magbanua – Our videographer: you’re the best! Thank you for capturing all of Mike’s crying moments! Clap clap clap! Thank you very much! 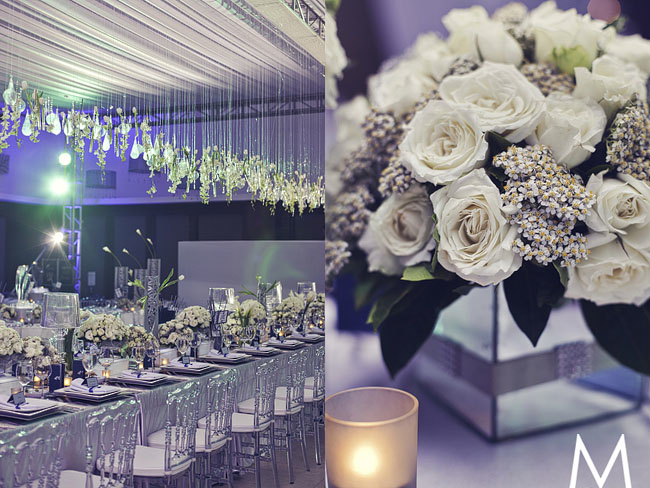 Flowers & Events by Teddy Manuel – Our event Stylist: thank you for making our crazy ideas possible for our wedding day. From my Bouquet made of wires and crystals, from the sculptures, from the ceiling, thank you for making everything possible. 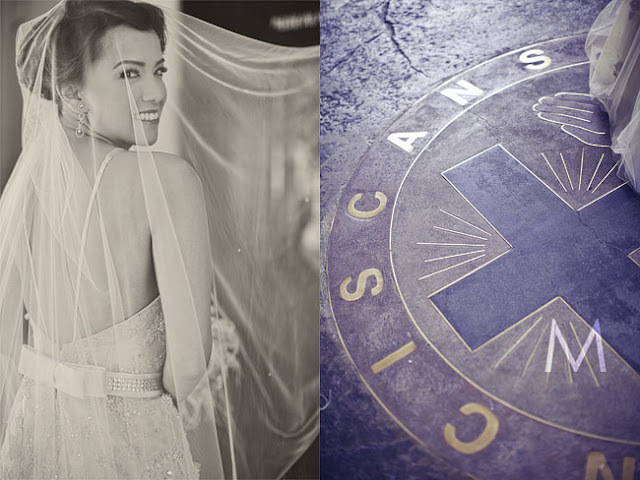 Madge Lejano – Hair & Makeup artist: thanks for making me look stunning during our wedding day! Miss Joy San Gabriel - thank you for our Chandelier Wedding Cake possible. Amazing! I think this is the first time, albeit already having shot a lot of beautiful and expensive shoes, that one can claim to have the most expensive shoes that they can find. Not that they have to tell everyone, but it’s that I have to tell everyone. hahaha. I think it’s just both so amusing and amazing that while the red-soled Christian Louboutin’s are very popular, Anne made sure that she had the best one for her wedding. So at the Beverly Hills boutique, they were ushered to a private VIP room where the rare designs of the said brand are stored. 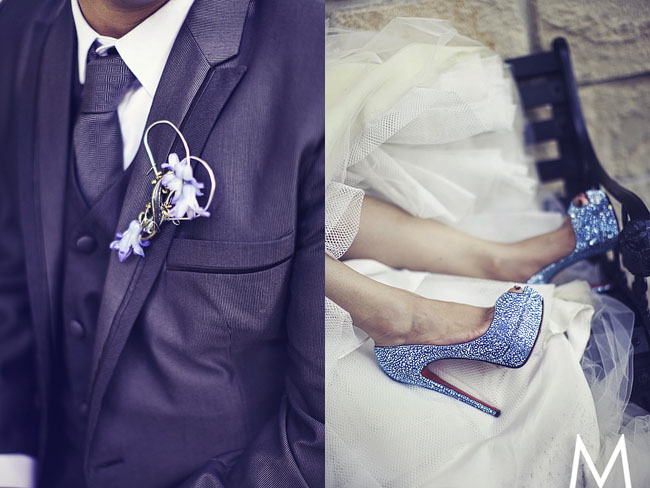 There Anne tried and loved the Daffodil Blue Crytal 160 platform pumps – perfect color for her wedding. The price? $6,395 – enough budget for a decent wedding already. That may be too much information for some or just plain too much but who can blame them for having a knack for the best that life has to offer? They loved it, I loved it, everyone loved it. :) She is a Metrophoto Bride after all.